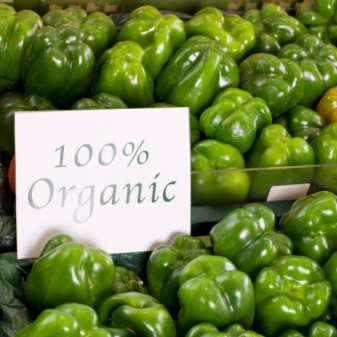 Organic food used to be hard to find but has quickly grown in popularity. But do you have to rely on Whole Foods to open a store in your area to be able to get tasty food that isn’t laden with additives and chemicals? And when that happens how many credit cards do you need to be able to afford to shop there? Thankfully, saving money on organic food is not as difficult as it seems. You might have to get a little creative compared to your normal shopping habits for non-organic food, but you don’t always have to pay the full premium price for your organic purchases. Here are a few tips to help you trim your grocery budget while you avoid the chemicals many companies use in non-organic foods. Some food manufacturers are now creating organic versions of their normal products. Those manufacturers utilize the same couponing system that they use on their normal products. That means you can get coupons in your local Sunday paper or at the manufacturer’s website just like you would with your other purchases. Even smaller manufacturers of organic products will put coupons on the box or have the grocery store put it in their weekly ad to draw attention to the products. They’re trying to sell as much of their product as the other companies are, so they’ll throw some incentives your way to get you to purchase. One of my favorite places to get local, fresh, organic produce is my local farmer’s market. There’s nothing like walking around on a Saturday and shaking hands with the farmer that grew the food sitting in front of you. Where else can you talk to that person to ask them what sort of pesticides, if any, they used on the produce? Plus, by purchasing at the local farmer’s market you are supporting the local economy rather than some agro-giant company that is headquartered in another state. If you end up doing your regular shopping at your normal grocery store you can rely on the store’s normal shopper programs to save money. Buy One Get One Free – Some stores will use this marketing method to move product and get you to try it out. Fuel Points – Many grocery stores now offer a fuel discount program. By shopping at that store you rack up more points which can earn you significant discounts on your next fill up. Of course as you are shopping you will want to use the regular strategies you use on non-organic food in order to lower your costs. Do comparison shopping at other stores to see if you can get the same products for less. Use a rewards credit card with a large cash back bonus for shopping done at grocery stores. If you’re going to pay a premium for your organic food you might as well earn as much cash back as possible! What are some other ways you can save money on natural and organic foods? Leave a comment!